C6421 - Submersible Square Trailer Light Kit - Under 80 In. Description: Submersible Square Trailer Light Kit - Under 80 In. 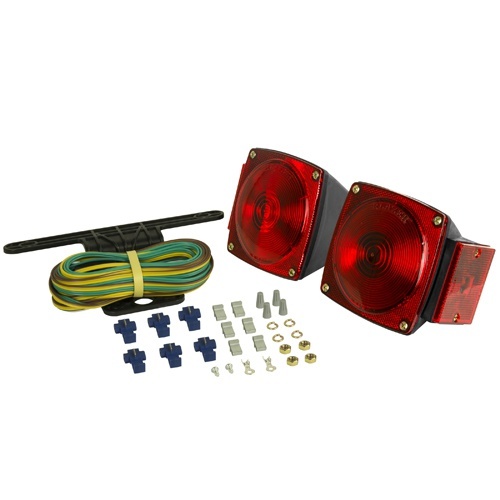 C6423 Square Trailer Light Kit - Under 80 In. C6424 Submersible Square Trailer Light Kit - Over 80 In. B83 LH Square Stop/Tail/Turn Light - Under 80 In. B84 LH Submersible Square Stop/Tail/Turn Light - Over 80 In. B93 RH Square Stop/Tail/Turn Light - Under 80 In. B94 RH Submersible Square Stop/Tail/Turn Light - Over 80 In. 82B LH Submersible Square Stop/Tail/Turn Light - Over 80 In. 92B RH Submersible Square Stop/Tail/Turn Light - Over 80 In.